WANT TO SPEAK TO SOMEONE ANOMYNOUSLY? WHO IS WHO IN CAMHS? 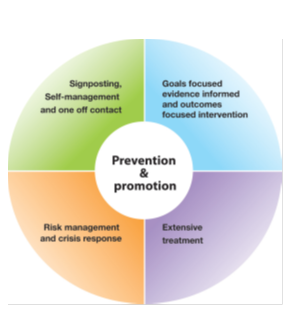 Humber NHS FT has been in early discussions with The Tavistock and Portman NHS Foundation Trust to work collaboratively with the Anna Freud Centre to introduce the i-THRIVE model within Humber NHS FT CAMHS Provision. The ambition is for Humber NHS FT to become a Community of Practice (essentially a pilot site) for the introduction of the i-THRIVE model within our CAMHS service. Contact Point provides a single point of access to CAMHS services. It has been designed to make it easier for young people and their families to access our services.